About every season has something to offer in Italy. A personal event, such as a Honeymoon may also be an excellent occasion to visit romantic Italian cities such as Venice and Florence. 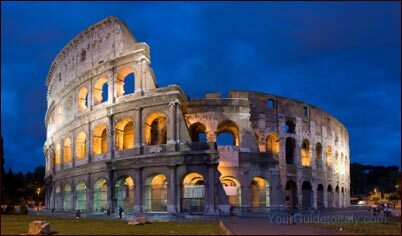 10 Most Famous Cities of Italy. 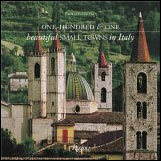 - Umbria and its beautiful little hill towns. - Ischia: together with Capri and Procida, a wonderful island in the Bay of Naples. The most exclusive (and expensive) destinations in Italy: Venice, Portofino, Praiano, Costa Smeralda, Capri. If you plan to travel all over Italy, we recommend you alternate travel highlights such as the cities of Rome, Venice, Florence, Ravenna, Pisa, etc, with lesser known destinations in Italy. That is both more relaxing, as well as intellectually and culturally more gratifying than accomplishing a sightseeing-marathon through several sites, without even having the time to appreciate the local atmosphere, colors and tastes. If you have just a couple of days to spend in Italy, the places that you should definitely not miss are the historical cities of Florence, Rome and Venice. 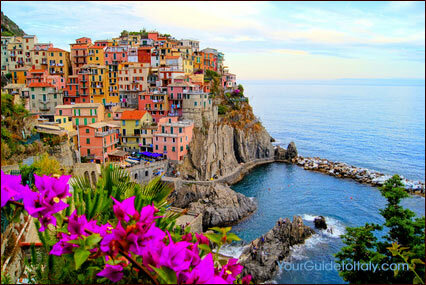 Read more about our Top 5 favorite places in Italy and 10 most famous cities of Italy. For those of you who have already been to Italy before and are now looking for something different, we have selected these guides that reveal hidden gems and secret places, small little towns, etruscan heritage, as well as travel guides for garden lovers and wine tasters. 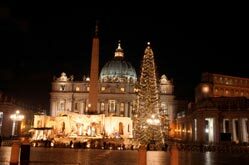 Rome is particularly beautiful at Christmas time, the combination of colored lightning and secular buildings and ruins, has something magic. Some consider the best time to go between April and June as the flood of school holidays hasn't yet hit the roads, the countryside is at its fullest bloom and the weather isn't uncomfortably hot yet. Others prefer the late season, especially if they are looking for a more relaxed beach vacation, which may be planned as late as October, for example in Sicily and Sardinia. See: Sicily off the beaten path. You may also want to organize your stay in function of one of the many annual festivals, whether wine-tasting, gastronomic celebrations or musical events. (read more about festivals). For those who like to travel off the beaten track and independently of larger organized group trips, we have selected these guides with cycling and walking tours through Italy. Italy offers a very wide range of accommodation, from luxury hotels, with fabulous spa and golf facilities to B&B and self-catering types of accommodation, to be combined or not with an activity holiday. Top luxury hotels in Italy: Six places that must be visited - if you can afford it. Old fashioned luxury in the style of yesteryear: exquisite places, uncompromising luxury. Italy is synonymous with style and any stay in Italy should be likewise. The term B&Bs in Italian is stricter than in English. Strictly speaking a B&B is a private home where rooms are offered for rent to guests. There is usually no possibility to dine on the premises. 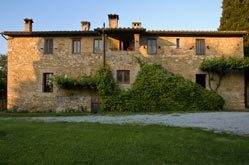 Here is a list of the best Bed and Breakfasts in Italy. An alternative to the traditional hotels and hostels are the agriturismi (agritourism, comparable to the gîtes in France), a style of self-catering accommodation in which hospitality is offered on farms, wine producing properties and mountain chalets, but also in villas and ancient castles. Read more about agritourism in Italy. An other interesting alternative to get a "feel" for the places you visit and connect with a local family can be found in this article: Free accommodation in Italy. The article lists a bunch of travel alternatives which are not only budget-conscious, but also an environmentally friendly and sustainable modes of travel. by Umberto Eco (Foreword), Olivier Bernier (Author), Frank Bruni (Author), Shirley Hazzard (Author), Alison Lurie (Author), etc.